Hockey is a wonderful sport for players at any age and level of play. 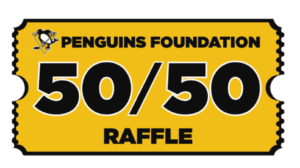 The Pittsburgh Penguins Foundation offers programs and activities to introduce members of our community to this great game. We believe that well-rounded players are the best players. From communication skills to experience with technology, we strive to bring educational programming to our communities. 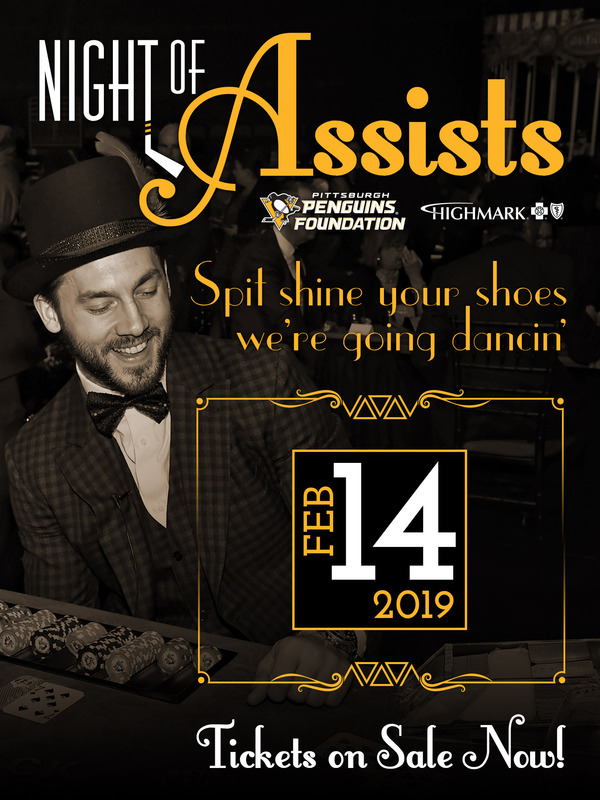 From teamwork on the ice to teamwork in our local communities, it is the mission of the Pittsburgh Penguins Foundation to make life better for those communities in need. The Pittsburgh Penguins Foundation continually strives to assist our communities. Learn about our recent efforts and latest goals to positively affect kids in our region. To actively promote physical well being, encourage teamwork, stress the value of education and provide essential life skills to young people in our community through youth hockey and other activities. Shop for a cause! Learn how to raise money for your team or league with FlipGive - the perfect tool to help you earn cash back from your everyday purchases! Free. Simple. Easy. The Penguins Foundation and Mario Lemieux Foundation team up annually for Penguins Charity Night on AT&T SportsNet. 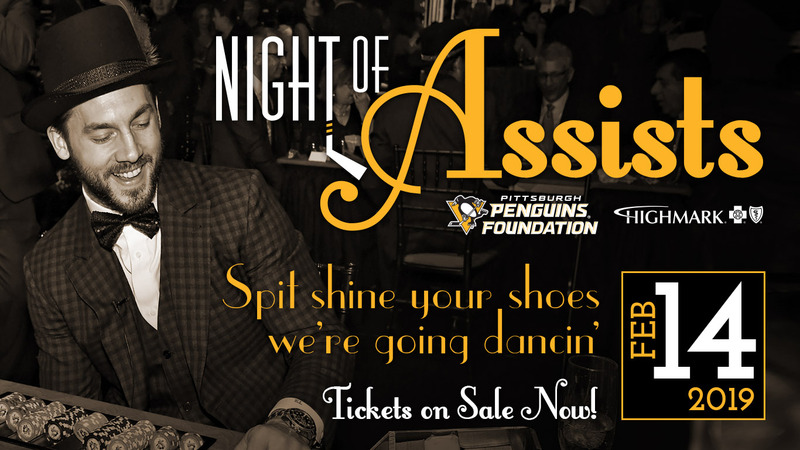 This season, on March 16, Penguins fans raised $2 million+ for these 2 tremendous causes in just one day! 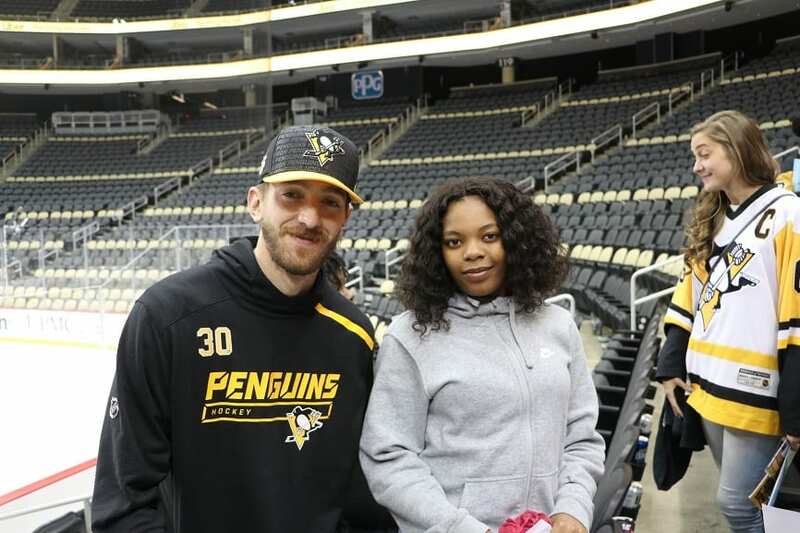 The Pittsburgh Penguins Foundation actively assists western Pennsylvania high school seniors in their pursuit of academic achievement by offering multiple scholarships. Our application is NOW OPEN should you like to apply for our current scholarship program. Delight your family and friends with dishes, desserts and more from "Welcome to Our Table," a cookbook created by the Penguins wives and girlfriends! This 152-page cookbook provides 70+ cherished recipes by the ladies of the Pens with proceeds supporting an angel fund for local non-profits. Join our team and love Your Melon today by purchasing this season's new co-branded beanie to support the Ronald House Charities of Pittsburgh and Morgantown. Proceeds from the Stronger Than Hate patch sales will support the victims and families of the Tree of Life Synagogue attack on October 27th.